This is a summary of a news release issued by Signifyd on Aug. 6, 2018. 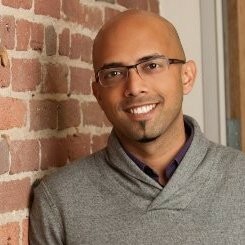 Silicon Valley venture capitalist Indy Guha this week joined fraud-protection provider Signifyd to lead its enterprise marketing team. The hire marks the company’s latest move to further advance its market leadership in helping enterprise and omnichannel retailers enhance customer experience via fraud-free global commerce. The move — part of an initiative to assemble the best-in-class enterprise executive team — comes on the heels of Signifyd’s latest round of funding, a $100 million infusion by Premji Invest and others, including Bain Capital Ventures, where Guha was a partner focused on ecommerce and software-as-a-service investments. Indy has spent years understanding the challenges faced by enterprise retailers,” Signifyd CEO and Co-founder Raj Ramanand said. “Adding him to our enterprise team is another leap forward in our mission to drive more revenue for the most sophisticated merchants while helping them provide their customers with a friction-free buying experience. Venture capitalist Indy Guha, who became the youngest person named partner at Bain Capital Ventures, joined Signifyd this week to head the company’s enterprise marketing team. Guha, who spent nine years at Bain Capital Ventures, said he was eager to apply the insights he gained while investing and working with some of the premier digital retailers and retail solution providers in the world. Guha, Signifyd’s vice president of enterprise marketing, will be part of an enterprise executive team that has honed its understanding of large retailers’ needs by becoming intimately familiar with their challenges, successes and potential. Guha, who was the youngest partner named in Bain Capital Ventures’ history, oversaw some of the firm’s key ecommerce-related investments, including SquareTrade, BloomReach, Kenshoo and Signifyd itself. His fascination with the modern commerce technology stack was fanned with Bain Capital Ventures’ investment in Jet.com, the most prominent example of a new breed of ecommerce enterprises. Sometimes referred to as digital natives, members of the new breed are born digital first and they seek to offload operational distractions by building a commerce stack consisting of best-in-class technology partners. The model, which was laid out in Mary Meeker’s Internet Trends 2018 report, is the future of ecommerce, Guha said, citing examples like Kylie Cosmetics, a company valued at nearly $800 million with only seven full-time employees. Signifyd offers a new model of fraud management called guaranteed fraud protection. The model uses big data and machine learning paired with domain expertise to shift fraud liability from merchants to Signifyd. Merchants are able to ship more orders and expand into new markets with Signifyd, because the company makes merchants financially whole for any approved orders that later turn out to be fraudulent. Legitimate customers are better served because their orders are not delayed or falsely declined by cumbersome manual reviews or fear of fraud. Signifyd has established itself as the market leader in fraud protection, enabling digitally native and innovative enterprise retailers to increase revenue and improve customer service. Guha said he looks forward to leading the team that will further accelerate the broader enterprise adoption of Signifyd’s solution.